Because Zac wanted the treehouse to have a building life of 100+ years, Pete knew the design would have to incorporate metal in order to maximize sturdiness. The unique shape of the treehouse was inspired by the position of the surrounding trees; the groves created an elliptical shape that reminded Pete of a horseshoe crab. When sheathed in zinc metal sheeting, the treehouse looks like a futuristic crustacean. Zac and Pete loved the idea of the Space Crab treehouse as it fuses the alien with the natural to create a space that's out of this world! Clad in PVC decking, the ramp will last for years to come. PVC decking has an advantage over traditional wood or composite decking products because it is made without organic material, allowing it to have superior performance and longevity, especially harsh climates. And a huge thank you to the many collaborators, subcontractors, and vendors who made the Space Crab come to life! Want more of the Space Crab? 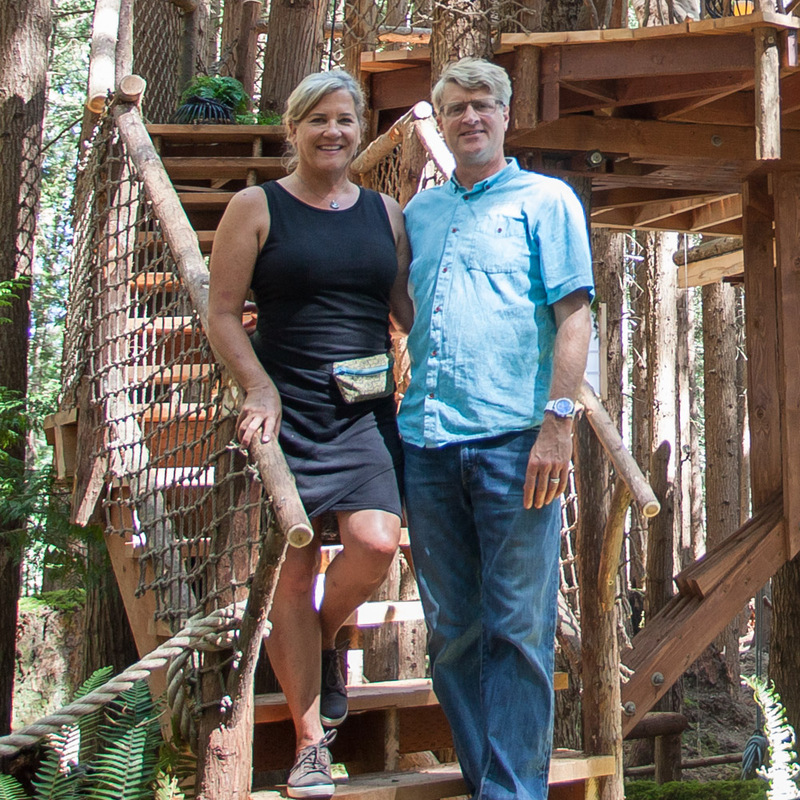 Make sure to check out Animal Planet's Treehouse Masters Behind the Build video below.